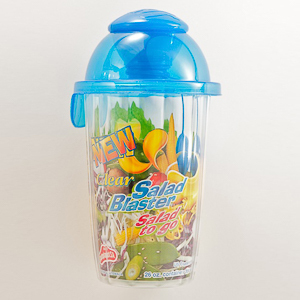 Taking a fresh salad to go has never been easier thanks to the Clear Salad Blaster Cup! 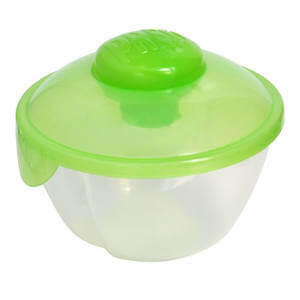 The Clear Salad Blaster Cup features a unique lid that stores your favorite salad dressing in a separate container so your lettuce won’t get soggy. 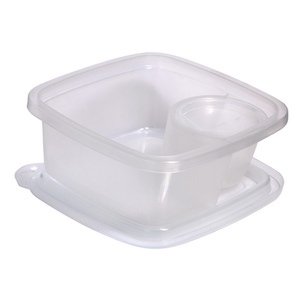 Fill the lid with dressing and secure the dressing container cap, add your salad ingredients to the cup and snap on the lid. 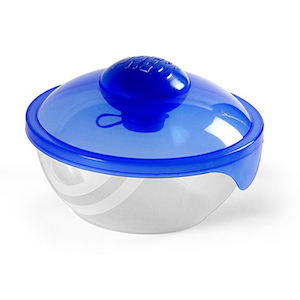 When you are ready for your salad, push the button on the lid to release the dressing, give Clear Salad Blaster Cup a good shake and you’re ready to eat!